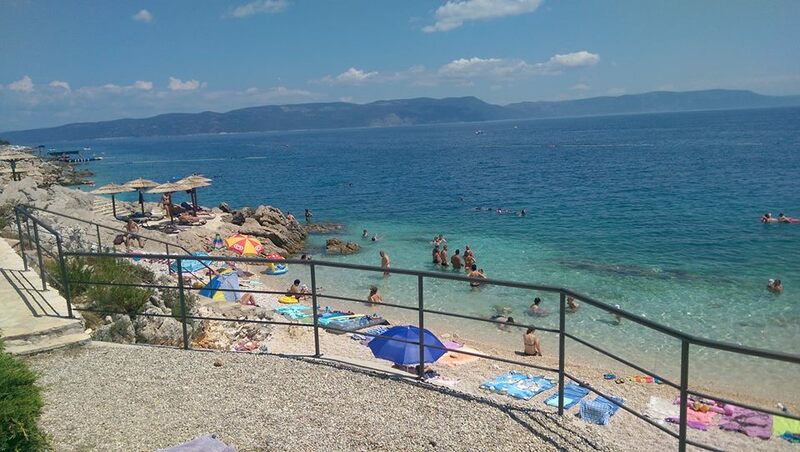 Our reader Tatjana Atanasova has enjoyed the beauty of Rabac this summer. She shared a lot of photos with our online community, and we decided to single out the one above. It depicts a lovely beach on the locality, without any sign of crowds or stress. The tranquil water of Adriatic shallows also adds to the pleasant vibe, and one simply wants to learn more about Atanasova’s vacation spot. Only about a century ago, Rabac was a small fisherman settlement with no tourist in sight. The local people were living modest lives, satisfied that they live in a wonderful cove in Istria’s southeast coast. That fascinating scenery couldn’t be kept in secret, however. Especially after English writer-traveler Richard Francis Burton visited the destination in late 19th century, noting its existence and splendor. Soon, luxurious villas and mansions became common sight in the settlement. People wanted to witness the beauty of Rabac, leading to construction of the first hotel. In the mid-20th century, the little village was nicknamed “The Pearl of Adriatic Sea”, which added to its renown on global scale. With Croatian tourism skyrocketing in recent years, Rabac refused to lose its usual charm. Although annually noting up to million overnight stays, it still awes with its natural sceneries as it has century and a half ago. Even the locals living on Istrian peninsula sometimes opt to spend a weekend on its premises. Have you visited Rabac on your own, or wish to note about a place of similar popularity in Croatia? In that case, don’t hesitate to upload your images and videos to our Facebook Wall, and share them with our online community. You may even become our media contributor of the day. And if you haven’t visited Croatia, now is a great time to become inspired for doing so. Just check out our Destinations list and pick up the one which suits best to your preferences.